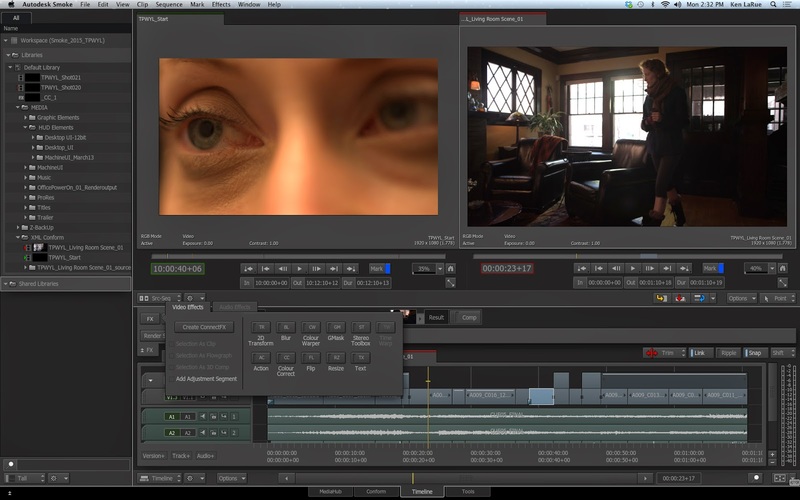 [ #Autodesk ]At NAB 2014, Autodesk has unveiled it's editing and effects software Autodesk Smoke 2015. This new version of Smoke adds new effects tools, 3D tracking, support for OS X 10.9 (aka Mavericks), support for the new Mac Pro and better-than-ever interoperability with Final Cut Pro X. And now the details information of Autodesk Smoke 2015 Desktop Subscription is now available. Desktop Subscription for Smoke 2015 comes in three flavors allowing editors and artists to pay by the month, the quarter or by the year. The price for monthly subscription is $195 SRP and by committing to a one year subscription customers can save more than $500. Smoke 2015 is now also available as a free 30-day trial. Autodesk has worked hard to make Smoke easier for trial users to get up to speed with updated hands-on tutorial content. The Smoke Learning Channel has also been updated with more than 50 new free Getting Started tutorial videos. More information and purchase Smoke 2015, visit http://autode.sk/buy-smoke .